Hi everyone, Christine here today. It’s the beginning of February, the month of Love! There is still plenty of time to create a heart themed card for that special someone in your life. 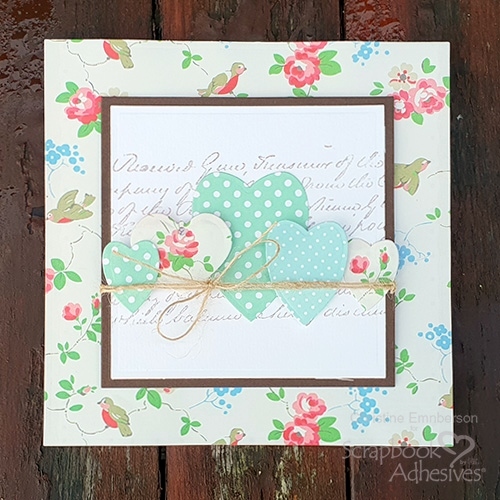 I’ve up-cycled some pretty gift wrap to create my floral pastel Valentine’s Day card, all easily made with the help of 3D Foam products from Scrapbook Adhesives by 3L. 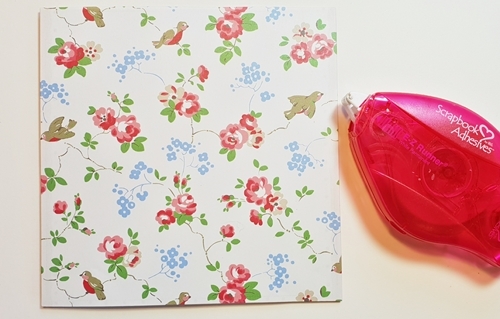 Using E-Z Runner® Permanent Strips Refillable Dispenser, I affixed a piece of the pretty gift wrap onto a 5 x 5 card base. Using matting dies I die cut a square from brown and white cardstock. 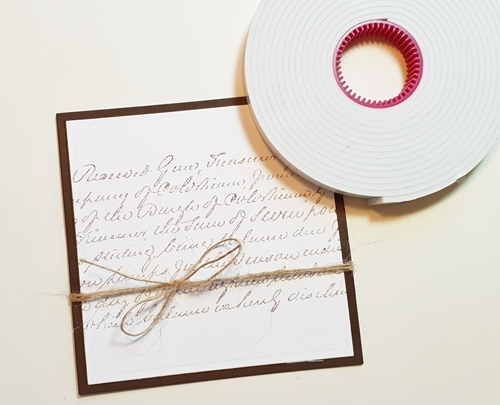 Stamped across with a script stamp and tied twine. 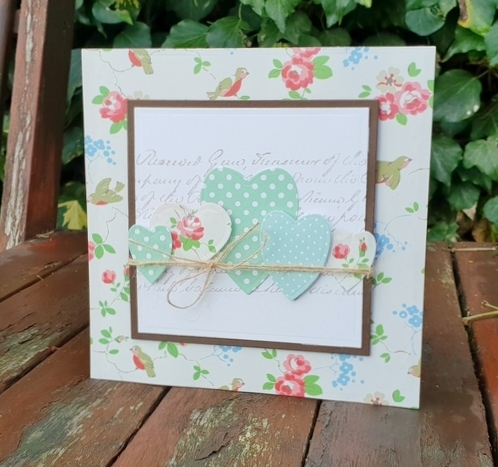 This is held in place on the reverse with Crafty Foam Tape and also when placed onto my card base adds wonderful dimension. 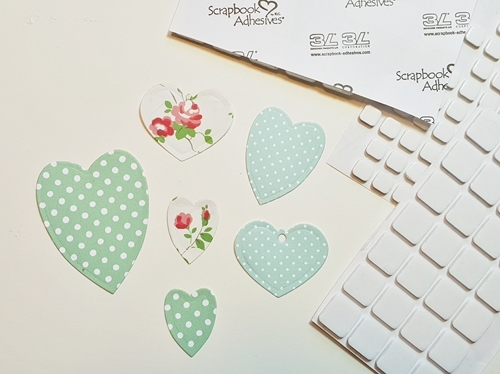 From pieces of the gift wrap and some scrap patterned paper I die cut various shaped hearts. These will be held in place with 3D Foam Squares Regular and 3D Foam Squares Small. If you purchase a mix pack you’ve got both sizes to hand, perfect! Beginning to position the hearts. 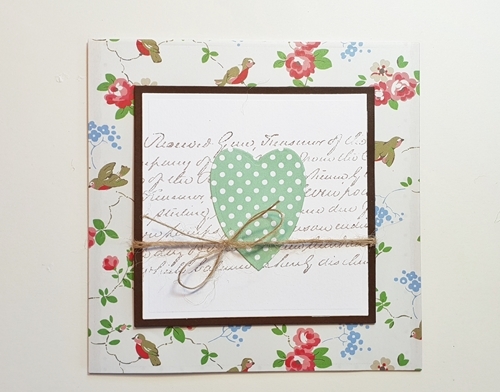 The finished card, it’s a Valentine Spring-like card! Thanks for stopping by and wishing you a wonderful Valentine’s Day. This entry was posted in 3D Foam Squares, Adhesives, Crafty Foam Tape, E-Z Runner® Dispensers and tagged 3D Foam Squares Mix White, 3D Foam Squares Regular White, 3D Foam Squares Small White, Card, Card Making, Christine Emberson, Crafty Foam Tape White, E-Z Runner Permanent Strips Refill, E-Z Runner Permanent Strips Refillable, Spellbinders Paper Arts, Tutorial, Upcycle, Valentine's Day. Bookmark the permalink. 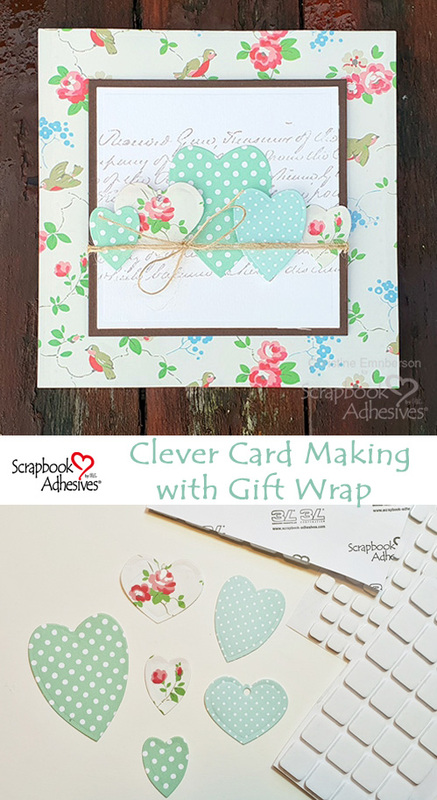 8 Responses to "Gift Wrap Valentine’s Day Card"
A very pretty card Christine, love these adhesive foam pads, they are so easy to use. What beautiful cards. I’ve not used these adhesives but would consider them when I next need some. A lovely card , just enough to be pretty and not too much to be overpowering on the romantic side. Lovely card Christine and great idea. Thank you. 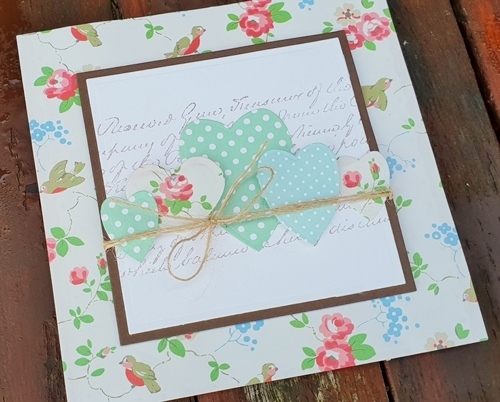 Hi Christine, This is really pretty, the colours and patterns are gorgeous and the die cuts look so effective.